3 Bedroom End of Terrace House For Sale in Middlesbrough for Guide Price £90,000. 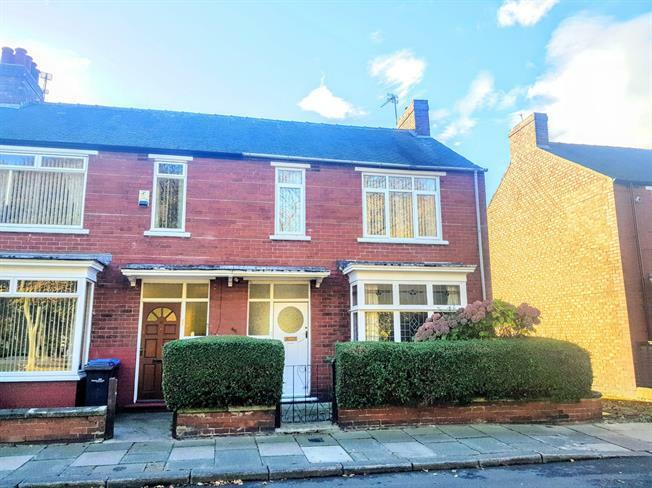 GUIDE PRICE 90,000-100,000 Bridgfords are delighted to present to the market this rare opportunity to own a beautiful home in the sought after location of Linthorpe in Middlesbrough. Not only is this property filled with character and charm but it also has stunning uninterrupted views of the greenery and wooded area opposite adding to this already very tranquil and exclusive street. The ground floor boasts two very large reception rooms with high ceilings and large windows that fill the rooms with natural light and a large kitchen almost 16ft in length leading to the rear of the property. The first floor has two spacious double bedrooms, a very generous single room and a sizeable bathroom suite. Externally this property is unrivalled not only with its picturesque views and front and rear gardens but the side road of the property acts as a private route to your own detached garage adding to the flair and quality of the build. This elegant and well-loved home would suit a range of buyers and would make a fantastic family home in a very impressive location. We believe this to be a exceptional opportunity so please call Bridgfords on 01642 227 827 to avoid disappointment.